If you’re considering getting dental implants in Sioux Falls, you might have a few different questions that come with the whole procedure. Replacing missing teeth is exciting, but it takes time, patience, and commitment to the process to ensure dental implant success. 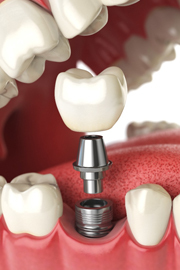 Learn more about dental implant care before, during, and after the procedure with these frequently asked questions. 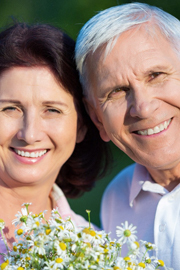 When looking for a tooth replacement option that will look, feel, and act as natural teeth, dental implants are the best restorative option for you. They work to replace both parts of your missing tooth—below and above the gum line. This helps to keep the jaw strong just as natural teeth do and replace the visible portion of the missing tooth to provide an aesthetically pleasing dental prosthetic. 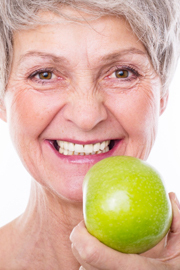 How Do You Start Getting Dental Implants? 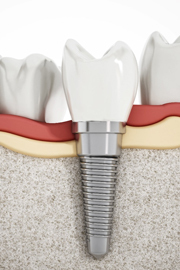 The process of getting dental implants depends on your level of tooth loss or potential tooth loss. If you’re facing tooth loss but haven’t yet lost your teeth, you may have to undergo an extraction and then begin your implant procedure after that heals. If you have existing missing teeth, your dentist will evaluate the strength of your jaw bone and complete a bone grafting procedure if needed. In the case that you are a good candidate for dental implants, you will have to undergo dental implant placement or oral surgery. A local anesthetic will be administered to the affected area as well as a form of sedation to help you relax during the procedure. Then, your implants will be surgically placed in meticulous places to solve your level of tooth loss. 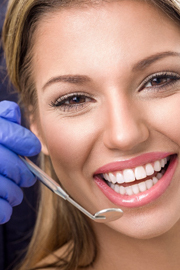 You’ll then undergo a period of healing, preparing the area for a realistic dental prosthetic. Everyone’s mouth is different, but it’s important to respect this time for healing. Over a course of several months, your mouth will be undergoing a process called osseointegration. This is how your implant post will heal with your jawbone, creating the most natural-feeling dental prosthetic that you’ll experience. This could take anywhere from three to six months. The three main benefits of getting dental implants are increased confidence, improved oral health, and renewed strength of your jaw bone. 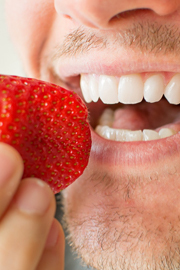 You’ll feel better about how your smile looks and feels, be able to enjoy the foods you truly love, and keep your youthful appearance with a strong jaw. If you have more questions about dental implants or any concerns, you should always feel comfortable contacting our office for assistance. We would be happy to help walk you through the entire process during a scheduled consultation. Contact us today!